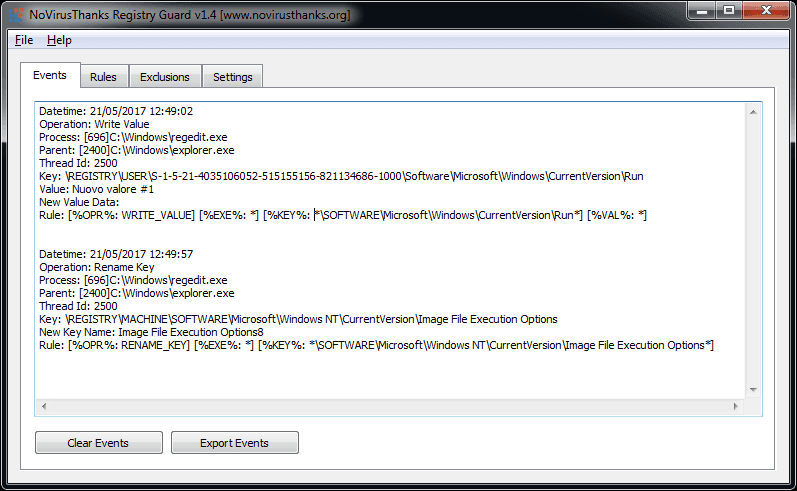 Try also Registry Guard Service (service-only application with no GUI). A smart application to effectively protect the Windows registry. Block renaming of Windows Registry keys used by Double Agent PoC. Easily write your own rules to protect the Windows registry. Write exclusion rules to allow specific processes to modify the Windows registry. Test your rules by logging the event without blocking the registry modifications. Log to a custom folder all registry modifications blocked by your rules. We have included some smart rules that can protect the registry startup locations. This is a software application that has a GUI (Graphical User Interface).